We are excited for the annual Virtuoso Travel Week, held this year in Las Vegas, Nevada (Aug 9-15). The event brings together agencies, advisors, suppliers, and special guests in what is considered by many to be the luxury travel event of the year. It is a great place for making connections, learning the latest in travel news, and meeting with others. Wireless Traveler is taking meetings now. 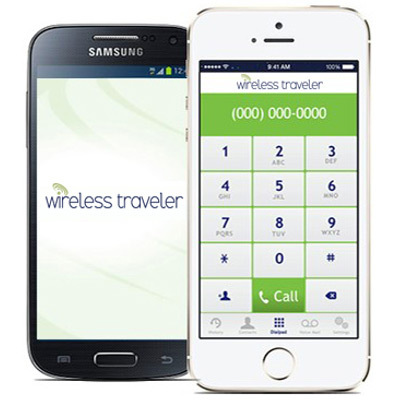 For all Virtuoso Travel agents, we invite you to meet with us and check out our latest mobile WiFi calling app – Wireless Traveler. With this app, you can use your own smart phone and stay in touch in over 200 countries for as little as two cents per minute! Get your family and friends to download the app, as well as your OnSites and talk for FREE app to app all over the world! Simply download the app for free from iTunes or Google Play store and add a little airtime to start calling. Virtuoso includes more than 340 agencies with 8,900 travel advisors in 20 countries throughout North and South America, Europe, the Caribbean, Australia, and New Zealand. Travelers who use the advisors get access to more than 1,300 of the travel providers, as well as special services, experiences, and products. Virtuoso Life Magazine reaches thousands of clients and featured Wireless Traveler’s unlimited data hotspot device in the July/August issue (p. 88). This year’s event will be held at the Bellagio Hotel & Resort in Las Vegas, Nevada from August 9-15. Join the talk to stay updated on all the latest Travel Week happenings.